Annually the Breeders’ Cup is in our opinion the best day for playing the races every year. 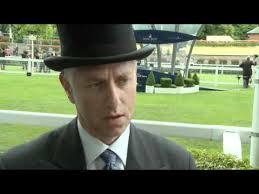 Biggest fields, best runners, largest pools; cashing in one race often times makes the day a profitable proposition. Nine races on Saturday this year, with all the races for non-Juveniles being run on the same day since the split of Cup into two days. With every second of studying time for this card needed, we will get right to our picks. 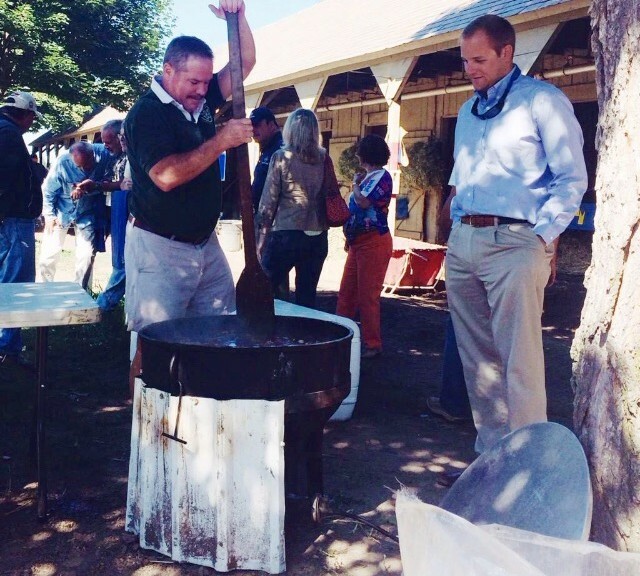 Happy Travers Day, everyone! It’s our favorite day of the racing year. Sure, it’s tough to top the two day barrage of the Breeders’ Cup or the pageantry and excitement of the Kentucky Derby, but for three guys who visited Saratoga before we could walk (and have visited since in frames of mind where it was difficult for us to walk), this is our Super Bowl. 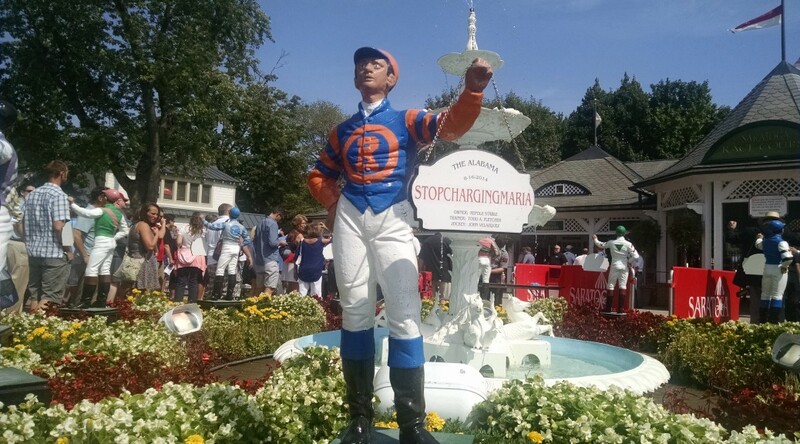 While the Travers is the obvious headliner, Saratoga’s recent switch to making this day a “Supercard” has brought the signature day of the meet to whole new stratosphere. 7 (!) straight stakes races anchor the back half of the card and offer opportunity after opportunity for big payouts. We’ll be chasing some of those payouts and our thoughts and analysis are below. Good luck everyone. The peak of the Saratoga meet is undeniably the Travers. 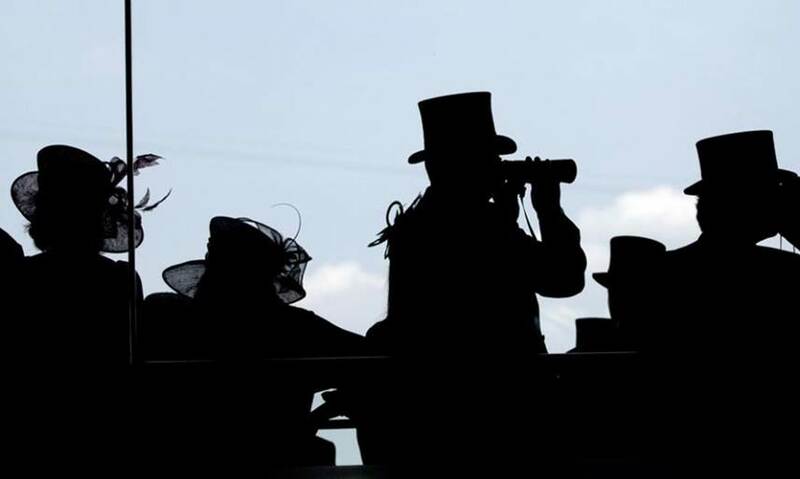 The Midsummer Derby is the crown jewel of each racing season. Not only does the race draw the best three year olds in training, but it also draws media buzz and crowds unmatched by the other 39 days of racing. We have been attending the Travers for the past 20 years–after we finally convinced our parents we could navigate the crowds and chaos of the day. We have made some great memories over those 20 plus years—getting Chris McCarron’s goggles at our first Travers after he guided Deputy Commander to a dramatic victory; assisting Kenny Mayne in hedging his bets prior to the 2009 Travers; and stumbling from Caroline Street to the turn styles the following year in order to reserve space for a friend’s bachelor party. But in addition to the personal memories, we have also witnessed some unbelievable performances and photo finishes. This week, we will recap a few of our favorite editions of the Travers from the past 20 plus years. Our trip down Travers Memory Lane begins with one of the most “dramatic renewals of the Travers” in the race’s storied history; the 1998 Travers. Many consider the Whitney to be the second most prestigious race of the Saratoga meet. But we would disagree. Historically and recently, the Alabama has attracted stars and consistently served as either a launchpad for or confirmation of a legendary career. From Royal Delta and Banshee Breeze formally announcing their dominance to the career best performances of already anointed juvenile fillies champions like Go For Wand and Silverbulletday, the mile and a quarter test for three year old fillies is a race second to only one at Saratoga. The Alabama has a long storied history, named after William Cottrell of Mobile, Alabama, the race dates back to 1872. Since 1917 it has been contested at its current distance of a mile and a quarter. Past winners include such giants as Miss Woodford, Beldame, Maskette, and Shuvee. But the race has not rested on past laurels. 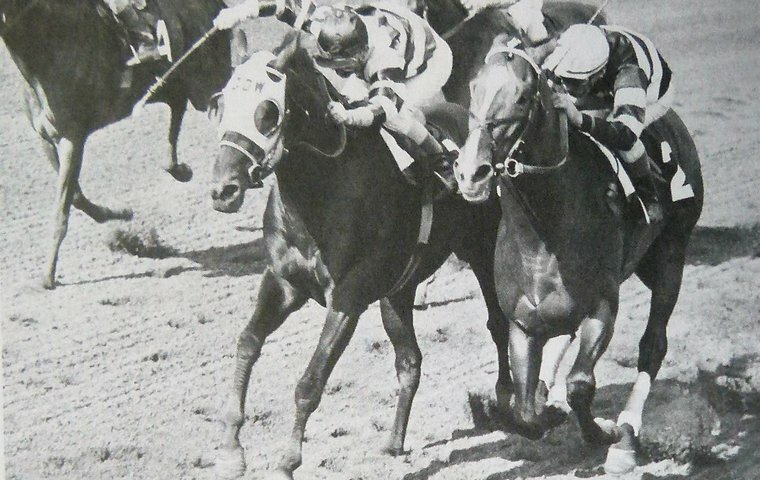 A look back at the last 30 contested Alabama’s reveals a who’s who of top fillies. In honor of Saturday’s Alabama, we take a look back at our five favorite/ most memorable editions of the Alabama from our 30 plus years of attending this prestigious race. So far our “Shark Week–Saratoga Edition” has focused on fearsome predators who have trolled the Saratoga waters over the past 25 years. But Sharks have been around for over 400 million years, so it follows that our profiling of Saratoga sharks needs to pre-date our own lifetime. With those parameters in mind, today we profile the Big Fish of the Travers, Hall of Fame Trainer, Winbert “Bert” Mullholland. Today’s shark always seemed to exhibit the cold-blooded instincts of a shark on the prowl during his dominant years at Saratoga during the 1990s and early 2000s. 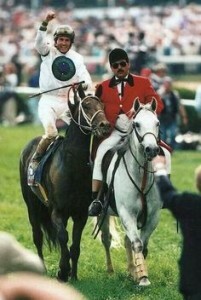 After Angel Cordero, another Saratoga Shark, retired Bailey took over as the alpha male in the Saratoga jockey colony. Bailey made it a goal every year to win the title at Saratoga, a feat he accomplished 7 times. He ruled the Saratoga jockey colony with an iron fist. Bailey, unlike Cordero, was the regular rider from some the eras most prolific trainers, namely Bill Mott and Bobby Frankel. Bailey, or J-Money as he is known by the Thorobros, appeared to always be riding the best horse. But this was an illusion, as he knew how to get the best out of horses and weave through trouble. Much like a shark, he perservered through a tough trip in order to claim a visit to the winners circle. His calm under pressure seemed to be second to none, waiting until the perfect moment to pounce and take the race by force. Bailey also was known for sharking mounts away from his peers, by proclaiming and backing up, that he could ride their horses better. Like any other shark, Bailey wanted the biggest and most tasty prey and would do whatever it took to get it. He was never satisfied with the status quo, he was always hungry for more. Bailey’s shark-like dominance of Saratoga came to an end with his retirement in 2006. But Bailey couldn’t stay away, continuing on in the industry as a TV commentator. In his new line of work he still asks like a shark, asking tough questions and never fearing to put his opinions on the line, or to question the tactics used by his former peers. Once a shark always a shark. You know you’re a shark when you’re the 4/5 favorite to win every battle. No matter the day of the week or the competition, dominance is a foregone conclusion. 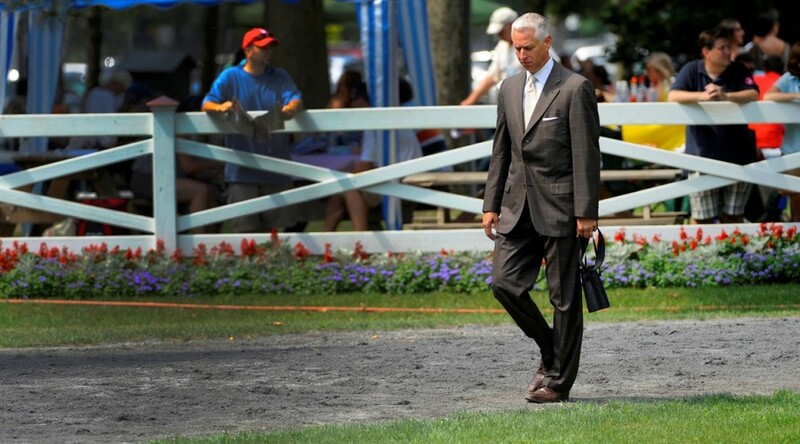 That’s Todd Pletcher–today’s Saratoga Shark profile. Pletcher is an unstoppable force at Saratoga–with the exception of the 2016 season where Chad Brown won the training title by setting a Saratoga record with 40 wins (Todd was second). But Todd even predicted that loss, pulling the ultimate shark move and “laying low” by calling himself “the underdog” for the 2016 season. Todd’s response in 2017? Equaling Brown’s feat from the year before, capturing the training title with a record 40 wins. Pletcher has won 13 training titles at the Spa, including 7 of the last 8, and, of course, is circling the competition this year. Fresh from an education with the Coach, D. Wayne Lukas, Pletcher burst onto the scene in the early 2000’s with the help of super filly Ashado. While post-Cigar Saratoga belonged to Bailey/Mott, it was not long before the tides shifted and Pletcher/Velazquez became the most feared shark pack. 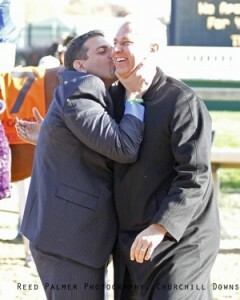 An example from our fellow Thorobro, best demonstrates Todd Pletcher’s status as the top shark for Saratoga horseman. A few years ago, before our colleague left for the track, his Mom asked if he would take $5 and bet it for her. He agreed, entirely expecting to book whatever bet she made, given that her two handicapping criteria are: (i) horse’s name; and (ii) does the horse have any connection, no matter how remote, to Ireland. She picked out a horse in a maiden race with a completely nondescript name, and with no ostensible connection to the Emerald Isle. Confused, he asked: “Why did you pick that horse?” She replied: “It’s got Pletcher and Velazquez, those guys don’t lose.” He placed the bet, the horse won, and his mom made $3 on her $5 win bet. That’s Todd Pletcher–a shark in the Saratoga training waters. 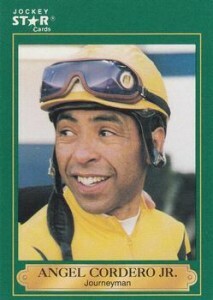 Shark Week Saratoga Edition: Angel Cordero Jr. 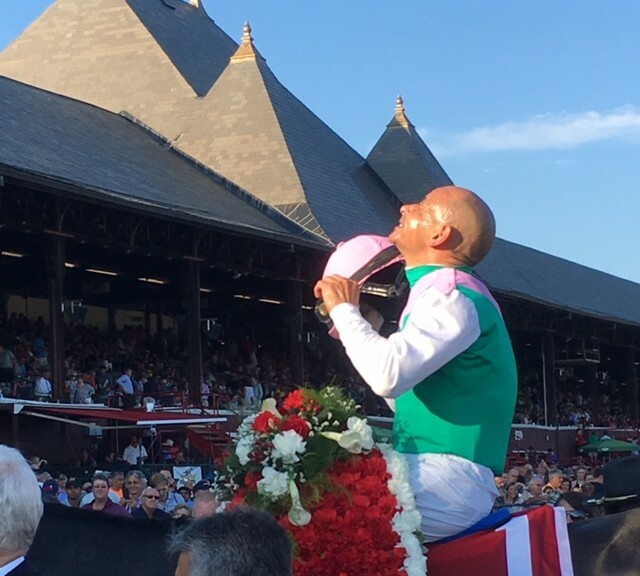 The fourth week of July marks the start of our two favorite summer traditions: Saratoga and Shark Week. So last night, we recovered from an epic opening weekend at the Spa by turning on the Discovery Chanel to watch Shaq standing on the bow of a boat screaming for sharks. And as the Big Aristotle dove into infested waters searching for the mythical Megalodon, our mission became clear—”Shark Week–Saratoga Edition.” In honor of Shark Week, we will profile the Sharks of Saratoga, legendary horses, jockeys and trainers who loomed large meet after meet and devoured all competition in their paths. Today we are featuring Angel Cordero Jr., the King of the Saratoga Seas. Not only was he clearly the King by winning 11 consecutive riding titles from 1976 to 1986, he did so by displaying many shark like characteristics. He was clearly held a mental edge on his competitors by toying with Jean Crueget like he did with his ride in the 1984 Whitney aboard Slew O’ Gold. A race in which he admittedly talking trash down the backstretch. Cordero also won all of those titles without being the “go-to” rider for many of the larger training outfits; he did whatever he had to to assert his dominance. He was fearless on the track, taking any tactic, regardless of the risk, he thought might work to get to the Winners Circle. And his shark mentality didn’t end when he hung up his saddle in 1992. He has since become the a shark-like agent on the grounds, by taking the book and hustling mounts for leading riders Johnny Velazquez and Manny Franco. His dominance over his opponents, his killer-instinct and his willingness to take risks to get to his prey make Angel a cold-blooded killer at Saratoga. 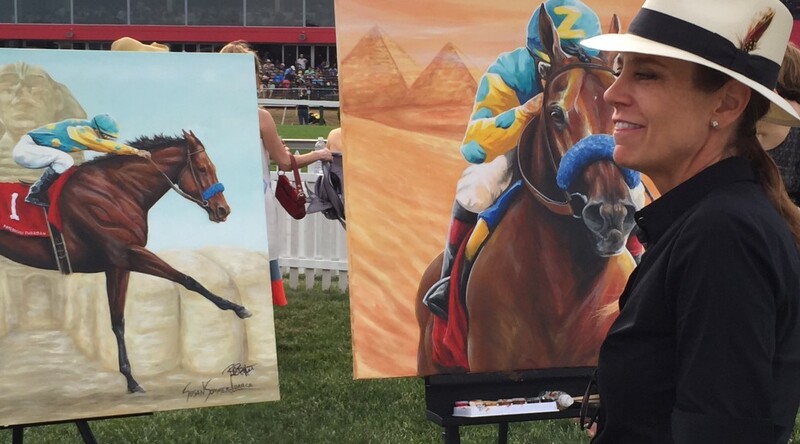 In honor of Shark Week, we will profile the Sharks of Saratoga, legendary horses, jockeys and trainers who loomed large meet after meet and devoured all competition in their paths. 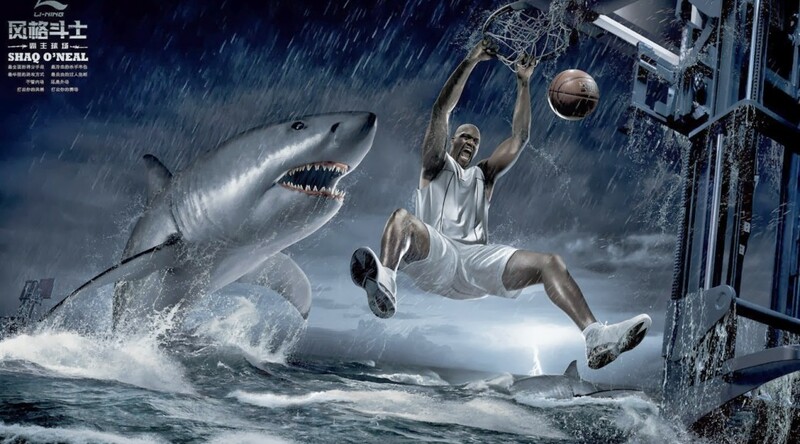 We start with the Great White shark of Saratoga, a/k/a the Sultan of Saratoga, Fourstardave. 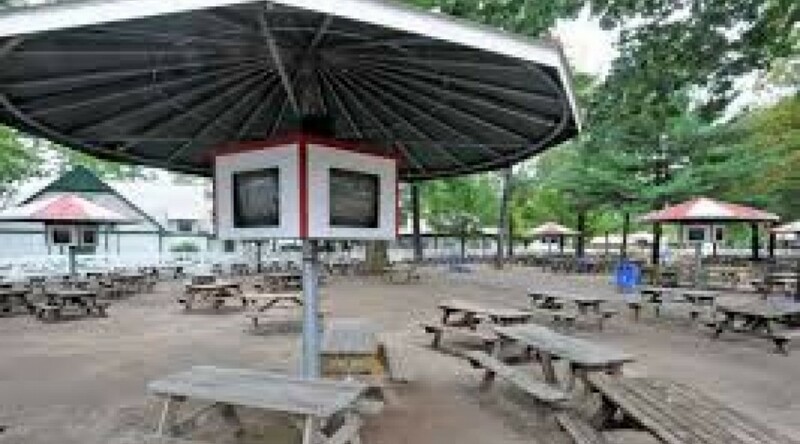 Saturday’s at Saratoga are sacred. 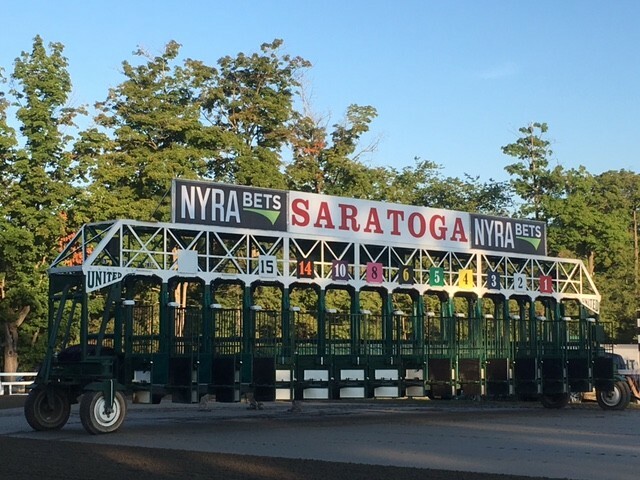 But in recent years, NYRA’s race carding has added another “S” adjective to Sacred Saratoga Saturdays—Super. Tomorrow’s Saturday card is no different. 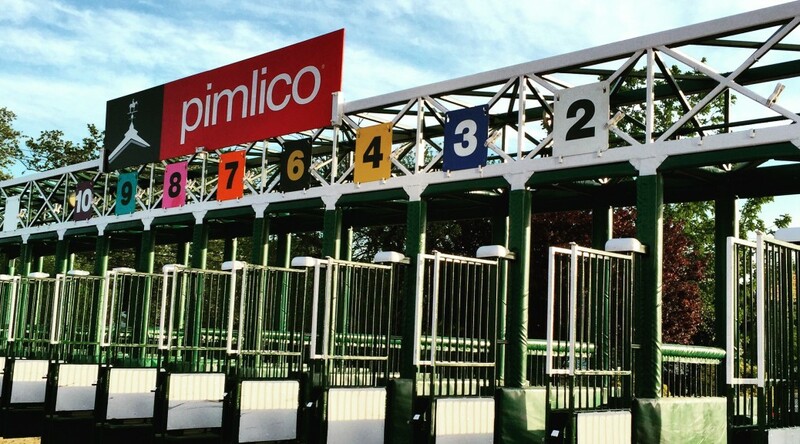 It features two of the most legendary stakes races of the meet—the Sanford and the Diana. Here is some race history and our thoughts on the 2018 editions.